" … would be appropriate for professional herpetologists … a key reference in a comprehensive herpetology collection … Recommended." "… a specialized resource focusing on the history and documentation of naming conventions … comprehensive, comprising over 1,200 pages, and including almost 400 pages of references. … key reference source for any professional herpetologist interested in naming nomenclature. Recommended for academic libraries." "You want to own this book for the wealth of information in the genus and species accounts, the literature cited, and the beautiful simplicity of using it. 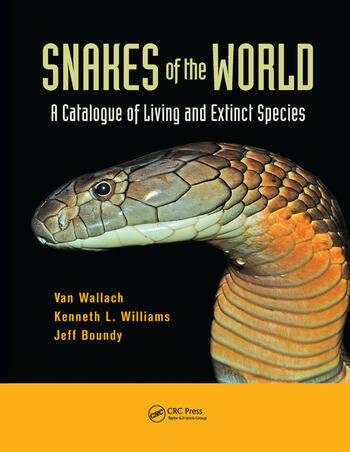 Oh, and the cover has an impressive photograph of a cobra head."